Thuppakki, a film that was much appreciated by the audience and fans alike had Vijay play a secret agent of DIA (Defence Intelligence Agency). He uses a Rubik’s Cube, whenever he thinks. It can be said that director AR Murugadoss has used the Cube to symbolize his intelligence. 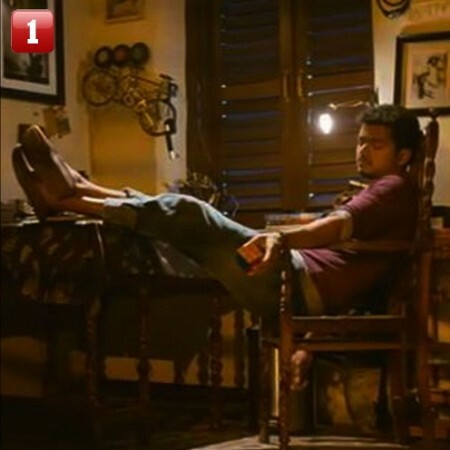 Thuppakki’s Rubik’s Cube is Behindwoods’ Polls Most Liked Accessory! This page hosts a weekly slideshow related to Tamil movies. Each slide includes a picture and some description about that picture. All the slides will have a recurring theme. People looking for actress stills, actress images, actor stills, actor images, movie stills, movie images, and other interesting topics, relevant issues in Tamil cinema will find this page useful. Ilayathalapathy Vijay’s Rubik’s Cube (Thuppakki) – 1584 Votes | Behindwoods' Best Accessories used in Tamil Cinema.